GOYANG, South Korea (Reuters) - A North Korean delegation called on Japan on Friday to pay "sufficient compensation" for the forced labour and conscription of the "Korean people" during World War Two and other Asia-Pacific conflicts. 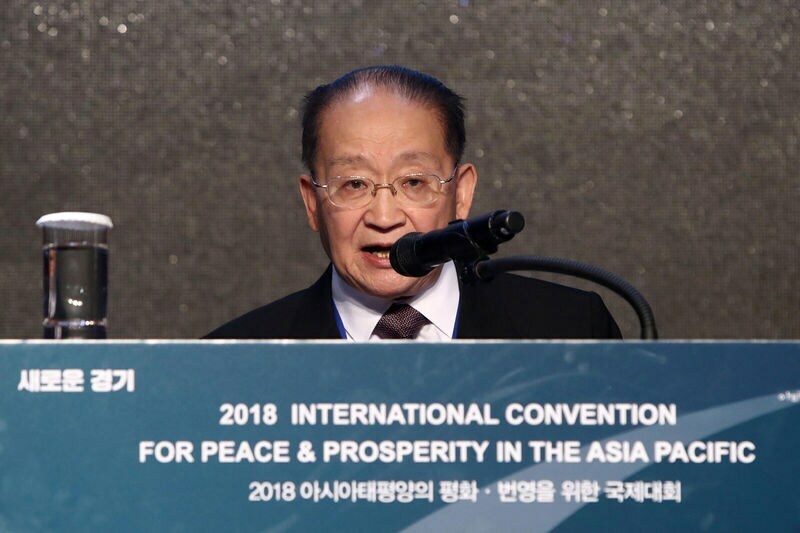 In a rare visit to South Korea, North Korean delegation leader Ri Jong Hyok denounced "crimes that violated human rights", calling on Japan to "make public its forced abduction of Koreans" and give sufficient compensation, following the example of post-war Germany. Japan, South Korea and North Korea share a bitter history that includes Japan’s 1910-45 colonisation of the Korean peninsula and the use of comfort women, Japan’s euphemism for girls and women forced to work in its wartime brothels. However, experts also warn that any further deterioration in relations between Japan and South Korea could spill over into efforts to rein in North Korea's nuclear programme. The dispute between South Korea and Japan was triggered by a South Korean Supreme Court ruling in October that Nippon Steel & Sumitomo Metal Corp pay 100 million won ($87,700) to each of four South Korean steel workers for their forced labour during World War Two. "Although a ruling came out from the South side's court some time ago about forced conscription of Koreans, Japan is claiming that it is not for them to compensate," Ri said, addressing about 300 attendees at a convention in Goyang, northwest of Seoul. North Korean state media brought up Japan's forced labour issue on Tuesday, Wednesday and again on Friday. In 2002 in a joint statement by North Korea and Japan, Tokyo acknowledged causing "tremendous damage and suffering to the people of Korea through its colonial rule in the past, and expressed deep remorse and heartfelt apology". "The Japanese authorities are not only avoiding the settlement of past crimes, but are clamouring about some abduction of ordinary people issue which is the pot calling the kettle black," Ri said. "If mistrust within Japan grows towards South Korea, there's a strong chance that bilateral relations and matters of defence, especially its stance about North Korea's nuclear issue, could be affected as well," he said.